Do you know the ‘golden rule’? It is, ‘He that has the gold, makes the rules.’ Once all of the gold is secured, all the rules can be set to ensure absolute power. To make it happen, a group effort would be needed to collect all the money. How would the group go about accumulating all the money and ultimately, all the gold? Where would they get the power to implement such a plan? If we are investing for our share of the money, we better get to know the competition. For purposes of simplicity, let’s just call the group that is trying to monopolize the money, the ‘illuminati’. Let me start by defining ‘illuminati’. The word is Latin and it basically means ‘the enlightened ones’. Members of an illuminati believe themselves to be especially enlightened on certain subjects and are therefore superior in intellect to their peers. The term has been applied to ‘shadow governments’ and bankers who seek absolute control over wealth. Absolute power can be acquired by force or coercion. Force can breed resistance. Coercion can breed compliance. Mao Tse-Tung once said that ‘political power grows out of the barrel of a gun’. Joseph Goebbels once said, ‘If you tell a big enough lie, and keep repeating it, people begin believing it. The truth, therefore, becomes the enemy of the state.’ So we have different strategies to obtain complete economic and political control. The illuminati is aggressively seeking that control today. The purpose of this article is not to argue the existence, but rather the means. Without doubt, governments and banks now dominate markets, economics, and politics more so than ever before. The question is, therefore, how do they maintain control and how should investors adjust? So how does the illuminati exert their power? Vastly outnumbered, they would raise the ire of the population if they imposed their will with military force or any such overt efforts. Mao could be defeated in a military conflict. Jefferson could be defeated by a virulent plague of citizenry ignorance. But Goebbels might have been on to something. In truth, the illuminati’s chief weapon is the ignorance of the population perpetuated by the false promise of security. The illuminati herd the populace in the desired direction with lies and material illusion. They divert attention from their ambitions by promising an improving stock market, arranging for easy loans for nice houses and shiny cars, and by manipulating the public psyche through trained speakers espousing the doctrine of government solution by ‘spreading the wealth around’. They constantly monitor their subjects so as to maintain power. Their eyes, or ‘I’s’, are always upon us. The following is their manifesto. Invent. The first step to acquiring real power is to invent the medium of financial exchange. Precious metals actually work fine but they are finite and the supply cannot be controlled and monopolized. Money is the invention. Coins made of precious metals are fine but go back and read the previous sentence. Aaahh – paper money is best because it can be manufactured to infinity, it is cheap to print, and it shifts real power to the printer. Why? Because now, the ‘value’ of everything has a ‘price’ that is set from the paper printer. The paper money has to be confined to a single holder – the banks – to ensure it maintains an assigned and implied value. Then the banks can use ‘fractional banking’ that allows them to loan exponentially more money than they have on deposit. Finally the banks can use a new and wondrous invention – derivatives. The loans that they write become ‘securitized’ so they can be sold to other bankers and pseudo bankers who then derive an income stream from the interest coupons attached to the loans. Principal, and return thereof, is no longer important. The money has an implied worthlessness. As long as interest obligations are met, the derivatives resupply lent principal while they serve to petrify the debt and therefore become substitutes for currency. The magic of ‘derivatives’ is invented so that the banks can now issue paper whose value is tied to the value of another piece of paper. ‘Capital’ is simply created. It is ‘invented’. And the best part of all is the derivative capital is cost-free and infinite in supply. The banks just have to convince the idiots of the world to accept their ‘capital’ as currency. Check. Infiltrate. To coerce people to give up all of their money, the illuminati would have to infiltrate both society and the psyche of society. The psyche is the easy part. If a person has $100 dollars and the bank loans them another $100 dollars, the person ‘feels’ richer. Perhaps they can now buy a new TV or some other form of intellectual destruction like rap music. Everyone wants to ‘feel’ richer, right? Sure, the bank has the person fill out some official looking paperwork that engenders even more importance. In the end, the loan is made and the person thinks he is richer. The infiltration of society is a little tougher. The quickest way would be to use military force. But, as already discussed, this strategy would have some major negatives. No, the trick here is to disguise the true intent. To pull this off, society has to believe that lenders are benevolent. They also have to believe that their government is not only benevolent, but also competent. (Hey, quit laughing. I never said society was very smart!) For instance, as a reaction to the greatest financial debacle since the Great Depression, a push for financial ‘reform’ in the US was undertaken. The committee assigned to write the new legislation was spearheaded by Barney Frank and Chris Dodd. These men have been in charge of overseeing financial regulations for years. The failure of Fannie Mae and Freddie Mac along with the explosion of derivative trading and the real estate bubble rests squarely at their feet. Allowing them to author more financial regulation is like hiring the Skipper and Gilligan for a three hour tour! Let me amplify this with the FASB accounting rule known as Statement 159. I have included this in past lectures that I have done but basically the rule allows banks to play ‘heads I win, tails you lose’. When bonds issued by banks fall in value, the bank books the loss as profit. Incredibly, the loss becomes income. In the first quarter of 2010, the four largest US banks reported a combined $13 billion in income by using Statement 159. That alone accounts for 20% of their supposed ‘profits’. When did it become apparent to all of society that banks were broke? 2007. When did Statement 159 become rule? 2007. Check. Illiterate. It takes time. If a group wants absolute control, it must dumb down the population. Education must be stifled. History must be re-written and sanitized. The US now has a 69% on-time high school graduation rate. Only a quarter or so of the population has a college degree. Television is dumbed down to a bunch of reality shows portraying the lives of idiots that are supposed to amuse us. And, that’s only C-SPAN. The media has become so fecklessly inept, that the best financial/ economic writer around right now is Matt Taibbi of the music magazine, Rolling Stone. Political leaders are clueless as they continue to show an unfathomable lack of understanding about debt and its destructive powers. The new currency of banks is derivatives and how many people want to hear about those things? Political leaders run all over the world spewing misstatements and false information. The Federal Reserve constantly issues mendacious statements calculated to further their conquest. Three times in 2006 and 2007, Mr. Bernanke stated that an inverted yield curve was not a precursor to recession and in fact, the economy was strong. Yet, no one challenged those assertions even though statistics and charts clearly say the opposite. Need I say more? Ignorance surrenders power. Check. Intoxicate. Helmand Province in Afghanistan is where 90% of the world’s heroin comes from. That’s why the latest military ‘surge’ was focused in that region. Control the drugs and one controls the intoxicants. Acquiring real power is about eliminating competition. Let’s use a time line here. Since the Federal Reserve came to power in 1913, we have endured WW I, WW II, the Korean War, Viet Nam, and the Gulf war. Now our military forces are dispatched to Iraq and Afghanistan. When the military lease on Okinawa was terminating, a South Korean submarine was supposedly sank by a North Korean torpedo. The lease was immediately renewed and a bank loan was no doubt extended. Why is this sequence important? Wars produce debt and banks provide the supply. Wars also produce horrific casualties and Vietnam was probably all society could take. Since then, casualties have been greatly reduced. There is nothing like a steady stream of body bags to raise suspicion that something else is driving the process. When did the era of drugs explode? Yep, right when Vietnam became a quagmire. If societal control cannot be exercised through war, drugs can be used. Society has to be either eliminated or stoned and drunk. Otherwise, they might rise from their coma and rebel against absolute control. The illuminate does not want society to get wise to their impending despotic ruin. At the very least, the intoxicated part of society gets eliminated from threat of power competition. Check. Incarcerate. Society is better controlled behind bars. Intoxification has to be criminalized. Drugs are illegal. If a large segment of society is imprisoned, there is less of a threat to the power. This may be depressing, but we must understand the facts. For the first time in the history, in 1995 the US started spending more on building prisons than on building colleges. In 1999, The US spent $41 billion on incarceration and $16 billion on welfare. In 2008, there were 2.3 million inmates in US prisons. 3.2% of the population is either in jail, on probation, or on parole. In 2008, states spent $50 billion on the prison system and the federal government spent $5 billion. As of 2006, states were spending 7% of their budgets on prisons. In spite of what government liars (yes, that’s an oxymoron) say about inflation, health care costs for inmates is growing by 10% per year. Why has incarceration become a bigger portion of the plan? Violent crime in the US has been relatively stable since 1980. But since drug laws changed, drug convictions have risen 12 fold. The US leads the world in percent of the population incarcerated. China is second. Those incarcerated have taken the place of the body bags. Soon, we will have new laws like the health care tax that will allow for even more non-compliant citizens to be put away. Tommy Chong was jailed for water pipe (drug paraphernalia) sales across the state line of Pennsylvania (I believe). When asked what it was like to go to jail, he replied, “You’ll find out.” War is ugly. Check. Institutionalize. Government control is institutionalization. When the government imposes absolute power over society, no one questions the government’s mandates for fear of penalty. Freedom’s have to be curtailed. Events can be orchestrated to affect surrender. The Patriot Act is an example of the surrender of liberties. Catastrophic events can lead to more reliance on the all-powerful government. These events work in favor of the illuminati to exercise more control. The goal is to get everyone thinking alike. That makes herd control much easier. Control education. Control the media. Control behavior. Control thought. Check. Impoverish. Poor education and bouts of incarceration lead to impoverishment. Give them a big TV and sporty car to drive, and the impoverished won’t rebel against the power. Real pay in the US is declining and the price of education is escalating. 40 million Americans rely on the government for food assistance via food stamps. The ‘food stamps’ are actually debit cards issued by JP Morgan bank. Human suffering profits the banks. Current unemployment is double digits and home foreclosures are still setting records. It is estimated that one million homes will be foreclosed in the US in 2010. There are another 5 million that are considered ‘seriously delinquent. Poor people fight for crumbs. Check. Immigrate. Unfettered immigration dilutes the culture and creates a need for government assistance. Government assistance is administered at a great cost. Liberty. Check. Indebt. Those who avoid any of the above, will surely fall victim to indebtedness. From the institutionalized lie that we could all live better if we just had access to more credit, our society has become more indebted than ever before. Citizens and sovereign nations alike have spent more than they can ever repay. Who supplied the credit? The banks. Where did they get the money? They invented it. How did they talk us into accepting the debt? They made it sound like there was no risk. Why was there no risk? Because derivatives were invented to diminish credit risks. Infinite debt can no longer ‘break the bank’. As long as the interest coupon on the debt can be paid each month, the derivative world can keep the debt afloat. Hopeless indebtedness results in a transfer of assets from the indebted to the lender. The lender maintains full power over the indebted. The US is now more than $13.2 trillion in debt. Check. Enslave. Once society is completely and hopelessly indebted, it is therefore enslaved. Once society gets to this point, no one will know, or care, whether ‘enslave’ starts with an ‘I’ or an ‘E’. When the nefarious emperor cracks the whip, society complies. Slaves have nowhere to run and no weapons with which to fight. Their intellect has been stolen and their leaders have defected. When the US economy faced a financial ‘catastrophe’ (only the banks were broke – not corporate America), Congress surrendered the Treasury (the gold) to the banks. No bullets were needed. Pelosi and her minions embraced the lie. Mao lost. Goebbels won. Check. Welcome to the new order of the ‘illuminati’. The enlightened ones now exert more and more power in their efforts to control the world. 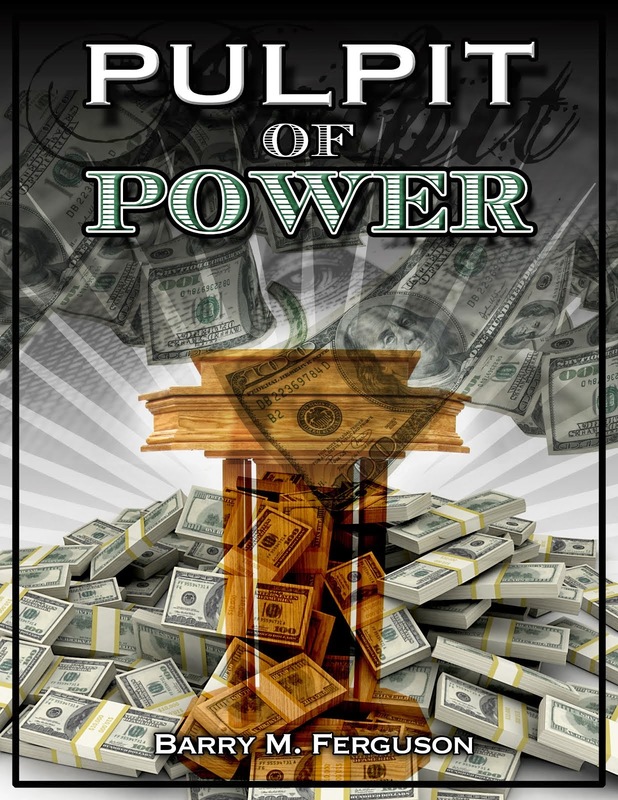 Money is power and infinite money is infinite power. It is only possible through derivatives. One can debate the existence of a physical illuminati body. One cannot debate the footprints of such intent. We are gradually moving towards one government and one bank. There is a strategy in place. Sadly, I don’t believe there is enough Jeffersonian intellect nor enough Jacksonian courage to repel the forces intent on driving us into the abyss. Now what do we do to invest our money? We know that total power resides in the hands of central bankers. That power will not be challenged because a large part of the population is too ignorant to understand who is holding their leash and rest of the population is enslaved by their debt enabling investments. Those investments are totally controlled by the central banks in what used to be called a ‘stock market’. Let’s just be honest and call it what it is – a ‘casino’. With no Fed to goose indexes higher, where might they go? What supposed investing ‘skills’ do most people really have? To understand what to expect in the future, let’s look at the past few months. The Dow rolled over in late April and experienced a 10-minute ‘flash crash’ of 1,000 points on May 6, 2010. I say the ECB liquidated stocks to prepare a Euro-bank bailout but truth is the enemy of the state. Anyway, as always, the central banks responded with the ECB announcing a trillion dollar bailout of the Euro-banks. The Dow immediately rallied back up some 800 points. Bear in mind, this was in response to the paltry $30 billion that Greece could not repay. Given the reality of a bankrupt world, the Dow made a lower high, then gave up the gains and made a new low in the now evident down-trend (lower highs, lower lows). To arrest this decline (and pretend that all was well), the Plunge Protection Team (PPT) orchestrated a 125-point rally in the final 30 minutes of trading on May 21. Two days later, the Dow made a new low and was off 250 points before the PPT brought it back at the end of the day once again. The Treasury auction another $110 billion in debt (as if it matters anymore). June opened with the Dow losing another 400 points (a lower low) until the ECB said they would in fact start buying Euro-bank debt for the first time ever. The Treasury auctioned another $70 billion in debt and the Dow rallied 500 points over the course of a few weeks. But, reality is a bear and the Dow rolled back over (after making a lower high) going down into July. The Dow made yet a new lower low on July 2. After the July 4 holiday, the Dow opened on July 5 and went down 150 points only to recover it all plus some including 60 points in the last ten minutes. Presto! Another rally was on! To emphasize the rally, on July 8, the PPT tacked on 80 points to the Dow in the final hour of trading. 25% of the total intraday volume came in that final hour. Obviously a rally ensued and so on. When it looked doomed for failure, the PPT jolted the Dow up some 100 points in the final hour of trading on July 15. Will it hold? The last lower high for the Dow was about 10,500. The PPT needs a close above that mark to end the down-trend. We shall see. In the modern stock casino, every turn in trend is a ‘V’ and not a ‘U’. The abruptness of intervention and manipulation is what we must now embrace. The point is this. The casino is now controlled by the central bankers who only act when the casino lights begin to flicker. They jolt the indices with buy programs and instigate rallies. Why? The casino is the ultimate illusion. As long as the casino keeps the light on, the part of society that is not yet institutionalized thinks they have a chance to make the slot machine pay off. Occasionally, the perpetrators allow three oranges to appear. They have to. Otherwise, we would all go away and they couldn’t even afford to keep the casino operating. We either believe the illusion or not. If so, we keep playing. If not, the PPT ‘creates’ a winner replete with buzzers and whistles and pontificators and prevaricators blaring the virtues of investing right down our greedy little ear canals. If we plan to keep any of our gold, we must understand the rules of the war. Investing has changed so that we must now be in sync with the manipulators that have all the power. We must be in and out with skilful deftness. Or, we can choose to remain seated while the manipulators draw three oranges on the board. Forget fundamentals. They are meaningless. Besides, they are all made up and manipulated. Every casino rally now comes from a central bank action. Every action comes at a casino dip. If you think you are investing for the long run, remember this. Once the illuminati captures all the gold, they will no longer need to keep the casino open. Checkmate. Enslavement is a lie. Truth cannot be enslaved. Pass it on. Barry M. Ferguson, RFC is President and founder of BMF Investments, Inc. – a fee-based Investment Advisory firm. Barry has 20 years of experience in the financial services industry and currently serves as portfolio manager to his clients. He frequently lectures on the subject of investing money and he authored the book, Navigating the Mind Fields of Investing Money. He also writes the very popular monthly market commentary newsletter, Barry’s Bulls. In 2009, he was awarded the prestigious Cato Award for Financial Journalism.